Will Teresita Marquez crown Alyssa Muhlach Alvarez as Reina Hispanoamericana 2018 in Bolivia? Representing Pasig City, Alyssa Muhlach Alvarez, 22, was crowned Reina Hispanoamericana Filipinas 2018 on October 7, 2018 at the SM Mall of Asia Arena in Pasay City, Metro Manila, Philippines. She will represent the Philippines in Reina Hispanoamericana 2018 on November 3, 2018. Before being crowned as Reina Hispanoamericana Filipinas 2018, Alvarez received four sponsor awards. These are Miss Best Skin, Miss Erase Placenta, Miss BYS Philippines and Miss GGOX. Reina Hispanoamericana 2017 Teresita Márquez will crown her successor at the Salon Siriono of Fexpocruz in Santa Cruz de la Sierra, Bolivia. Alvarez is expected to compete against 30 Reina Hispanoamericana 2018 candidates. Marquez, the first Filipino Reina Hispanoamericana candidate and the first Asian titleholder in the international pageant, is the daughter of actors Joey Marquez and Alma Moreno. On the other hand, Alvarez is the daughter of actress Almira Muhlach and former basketball player Bong Alvarez. 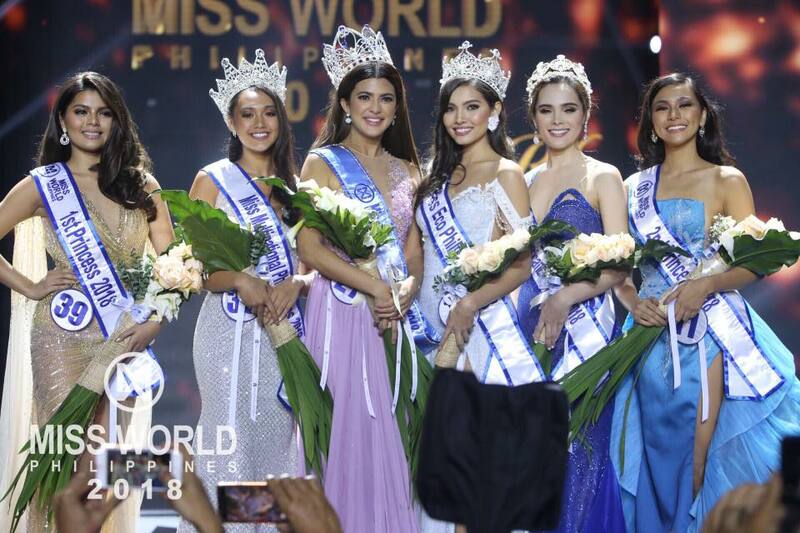 Aside from Alvarez, three other queens were crowned during the Miss World Philippines 2018 coronation night. They are Miss Eco Philippines 2018 Maureen Montagne, 25, Miss Multinational Philippines 2018 Kimi-Lei Mugford, 18, and Miss World Philippines 2018 Katarina Rodriguez, 26.